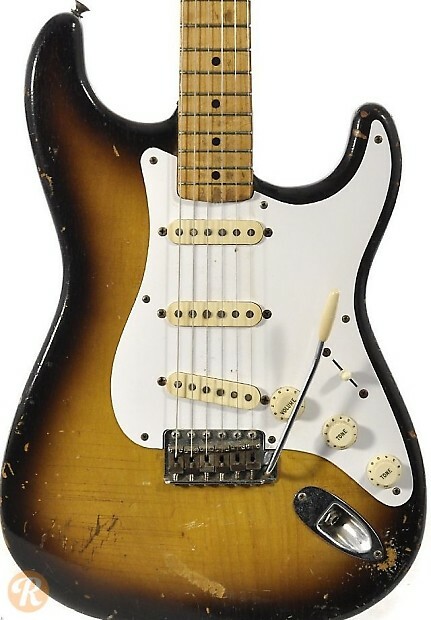 The 1956 Fender Stratocaster is considered one of true classic Stratocasters. 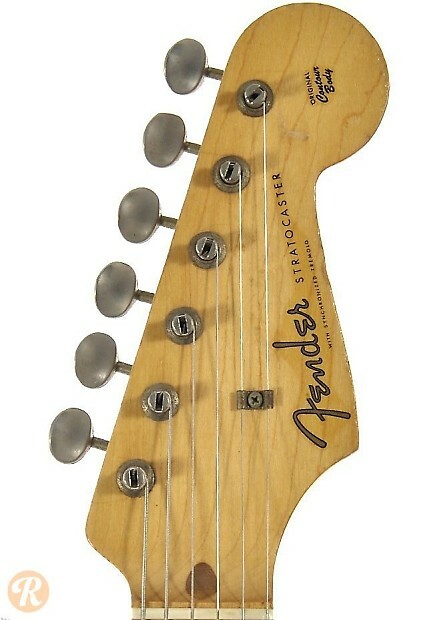 Fender switched from Ash to Alder as their primary body wood in 1956. 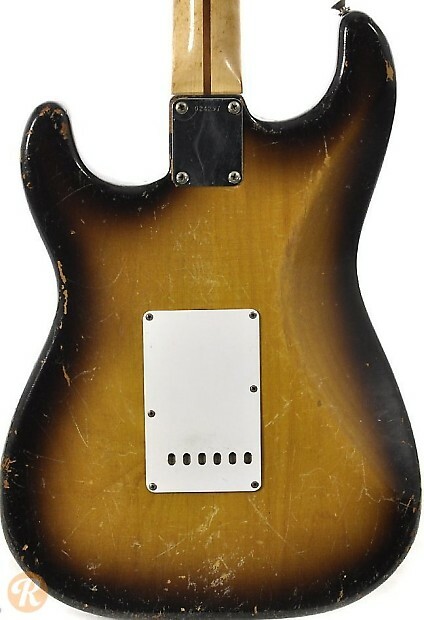 However, pickup covers were still made of Bakelite, and the neck had a thicker V-shaped profile. 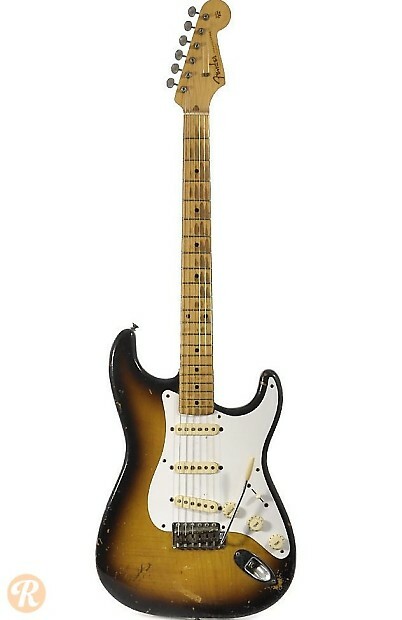 Unique to this Year: One of the last years of V-shaped neck profile and "2-tone" sunburst finish. String holes in the back transitioned from round to oval. Finish Specifications: 1956 was one of the last years of the "2-tone" sunburst finish as the "3-tone" sunburst was introduced in 1958. Blonde and black were available as custom finishes.